Texas-Flood-Insurance.org - Low cost Texas Flood Insurance Quotes. Save money on your TX flood insurance, lowest Texas flood insurance rates. 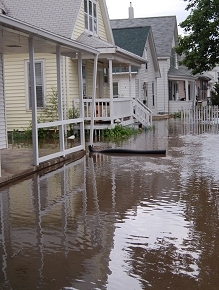 Flood Insurance for as Low as $129 Per Year! Specializing in hard to place Flood Insurance Risks. Fast Telephone and Online Flood Insurance Quotes! Extra Discounts for Certain Communities. Grandfathering Map Service for All Homes. We Specialize in A and V Flood Zone Rating. We shop 5 Different Flood Companies for the Best Rates! We are the Top Flood Insurance Agent in Galveston County! An online Service of Brad Spurgeon Insurance Agency, Inc.
Texas-Flood-Insurance.org is an agency in Texas City, TX with highly qualified agents who know Texas home and flood insurance. low cost texas flood insurance quote, Texas National flood insurance, Galveston Flood Insurance, Tiki Island Flood Insurance. Get a Free Texas Flood Insurance Quote today!